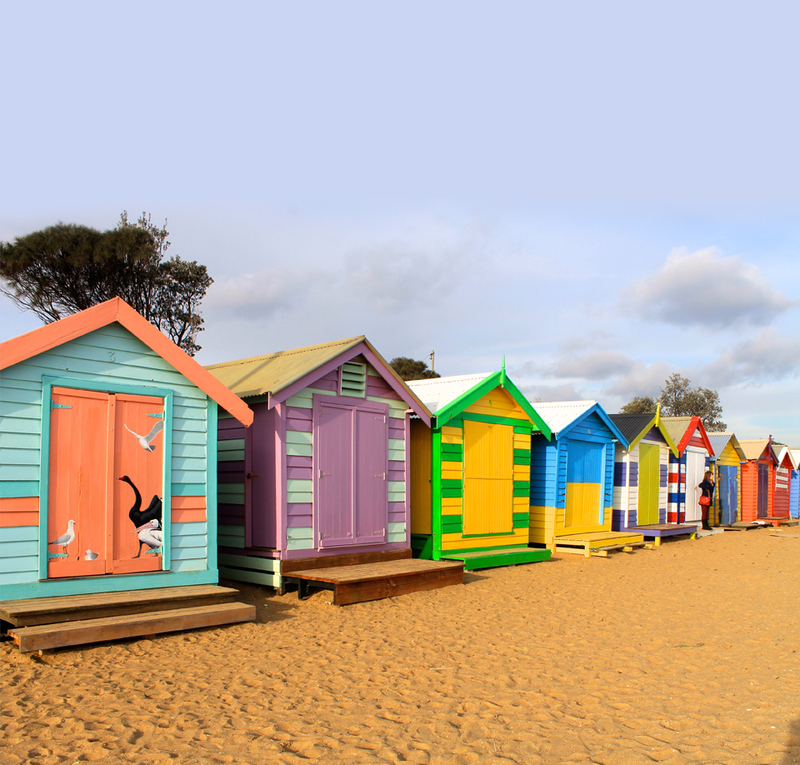 Brighton Beach Bathing Boxes, also known as the Dreamy Colorful Cottage, a long row of colorful cottage neatly arranged on the beach. 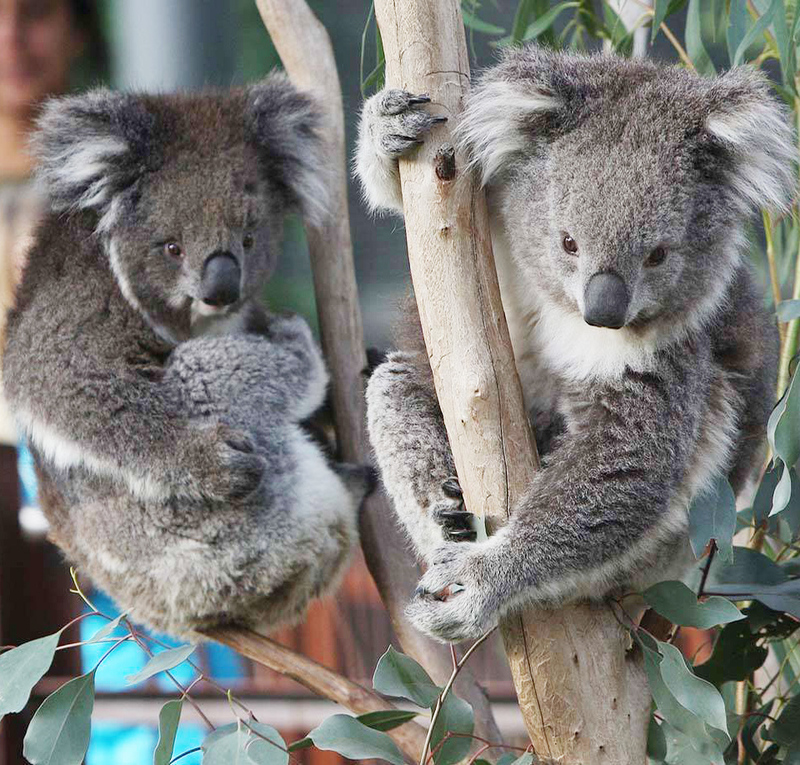 The Koala Conservation Center allows you to stroll through this eucalypt woodland and come 'face-to-face' with koalas in their natural habitat. 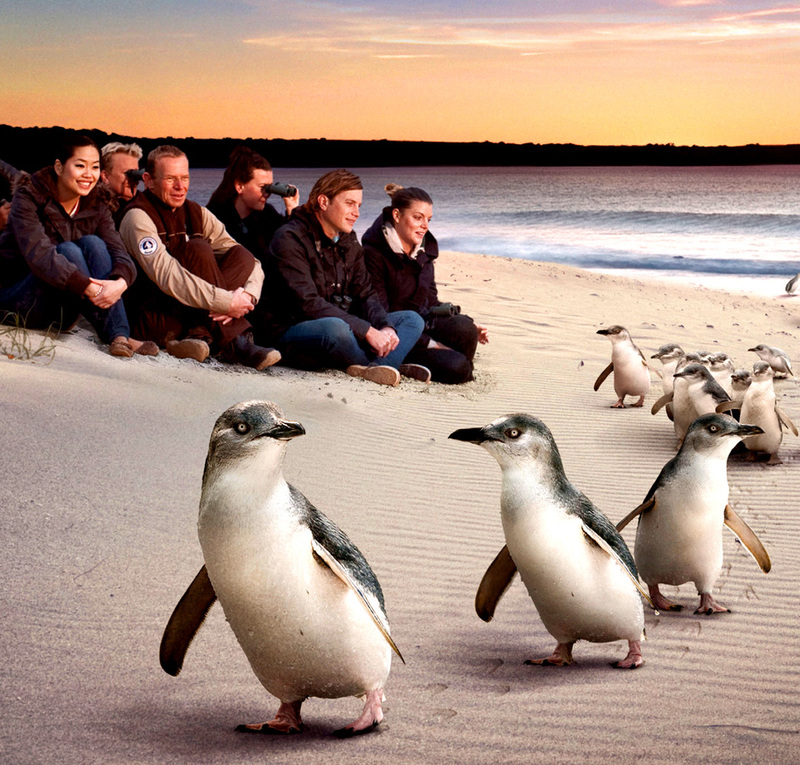 The Penguin Parade is a world famous penguin parade, experience the magic of little penguins returning home at sunset. 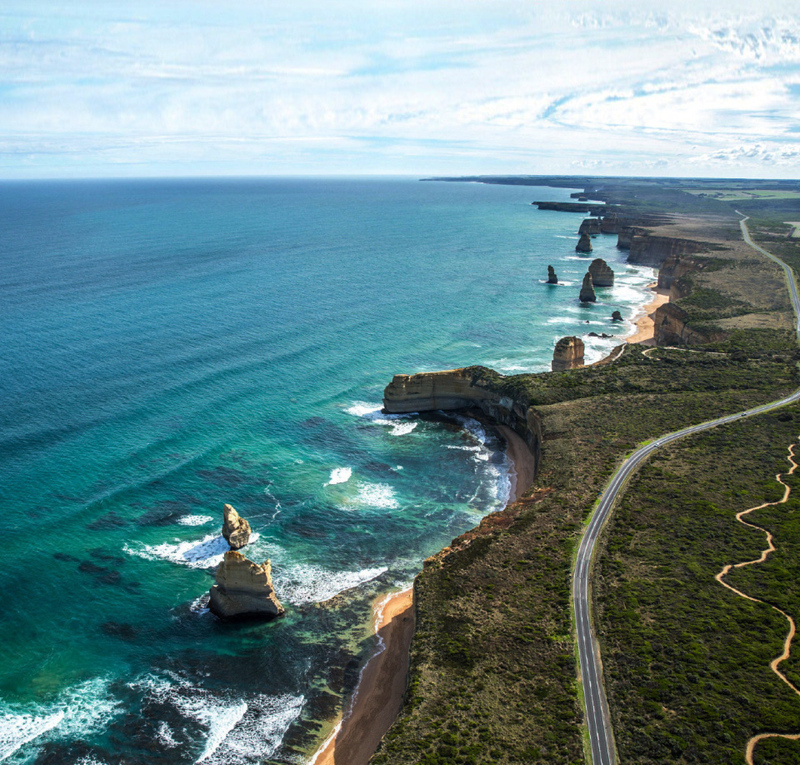 Great Ocean Road stretching along the west coast of Victoria, it is one of the the world’s most magnificent ocean scenery, there scattered with coastal towns and fishing villages along the way. 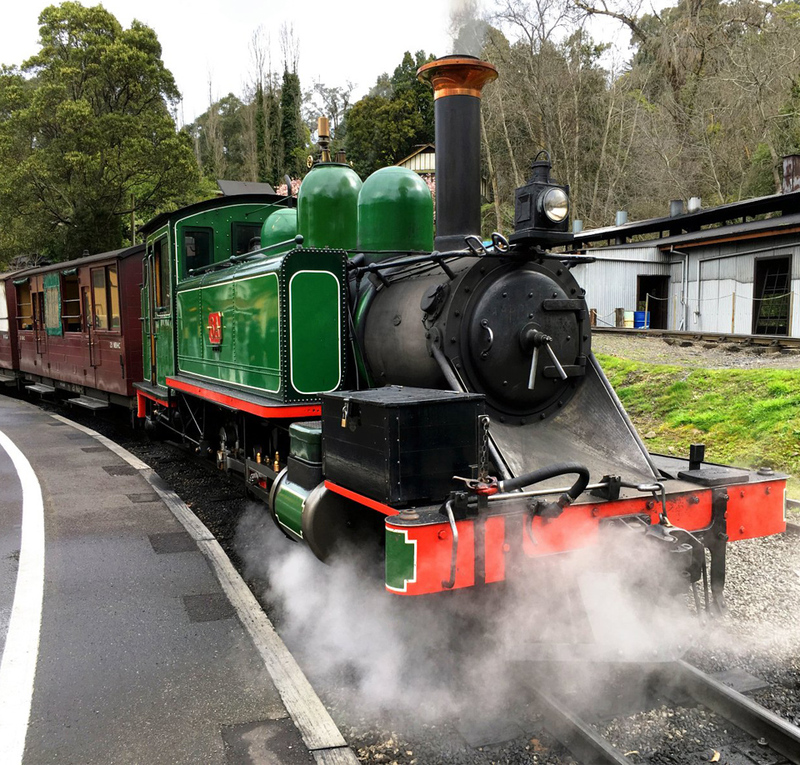 Puffing Billy Steam Train is one of Australia's oldest steam trains, from Belgrave to Menzies Creek for a journey through the heart of its rainforest.